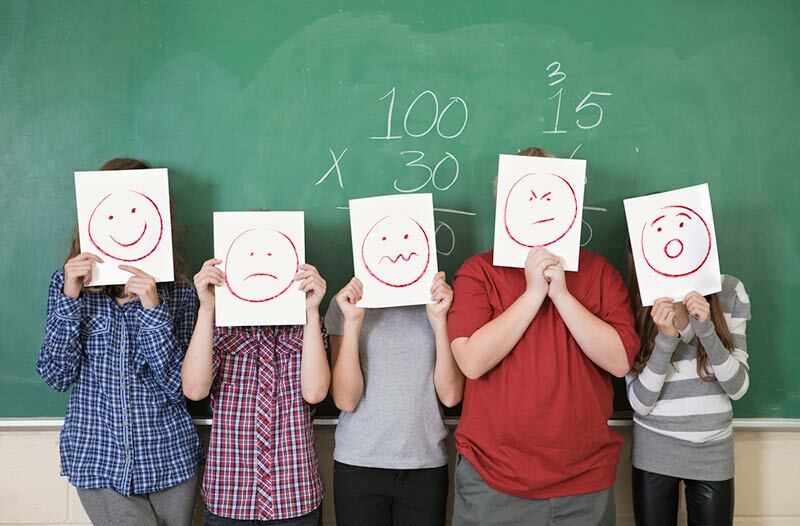 For students with learning disabilities, positive dispositions are a critical foundation for achievement in math. Teachers have the responsibility for creating classroom contexts that foster positive dispositions. Students who struggle with learning mathematics may comprise, by very rough estimates, 6 to 25 percent of the K-12 school population. Students with specific disabilities as identified under the Individuals with Disabilities Education Act (IDEA, 2004) include those with specific learning disabilities in mathematics, cognitive or developmental dis-abilities, emotional disabilities, communication disorders, traumatic brain injuries, and some severe health impairments such as attention deficit hyperactivity disorder (ADHD). Other students with disabilities who do not qualify under IDEA but may need individual provisions for learning include students with physical disabilities and health impairments (such as ADHD). Students who are learning English as a second or other language (ELL, English Language Learners) may have related mathematics learning problems. Other students, such as those with cultural differences, scarce resources at home, or highly mobile families, may also have significant learning problems. Seek out student interests and plan activities that make connections with those interests. For example, one entire class was interested in playing softball. They challenged other fourth-grade classrooms and kept statistics on every aspect of their games. Personalize math lessons by using student interests, names, real events, and student-created problems. Some teachers name classroom "discoveries" after students: "the Sally Brown proof." Allocate just two or three minutes at the beginning of each mathematics class to warm-up activities with familiar material. Begin with success! Create classroom procedures that allow students to take risks and make mistakes without punishment or humiliation. Encourage students to set personal goals in mathematics and keep track of their progress through individual portfolios or graphs. Check for student understanding when introducing new concepts and adjust explanations and examples until students demonstrate strong understanding. Check understanding by watching students work and by listening to their explanations, not through testing at this initial learning phase. Analyze students' mathematics knowledge and understanding for gaps that will hinder new learning. Plan remedial instruction that will fill those gaps by connecting concepts, not with isolated skills. Communicate clearly with students the "why" of mathematics for the year. What new learning will they accomplish? Why will it seem they are working on some of the same topics as last year? How will this learning be beneficial in the long run? Listen to students' explanations of their views of mathematics. When students have accomplishments, guide them in making explicit connections with their efforts. When students hit roadblocks, teach specific strategies for learning skills or procedures. Model positive dispositions-about mathematics and about working collaboratively with other teachers for student learning. The combination of positive teacher and student dispositions towards mathematics learning will provide a critical component for success with mathematics instruction. Further enhance your math curriculum with more Professional Development Resources for Teaching Measurement, Grades K-5.